A common method for prepping a kale salad is the OG chopping technique that gets those fiber-packed leaves into perfect bite-size pieces. You might want to put down the chef’s knife, though, because one food expert actually prefers a different kitchen tool to get the job done. And, bonus: It could save you a whole lot of time in the kitchen. 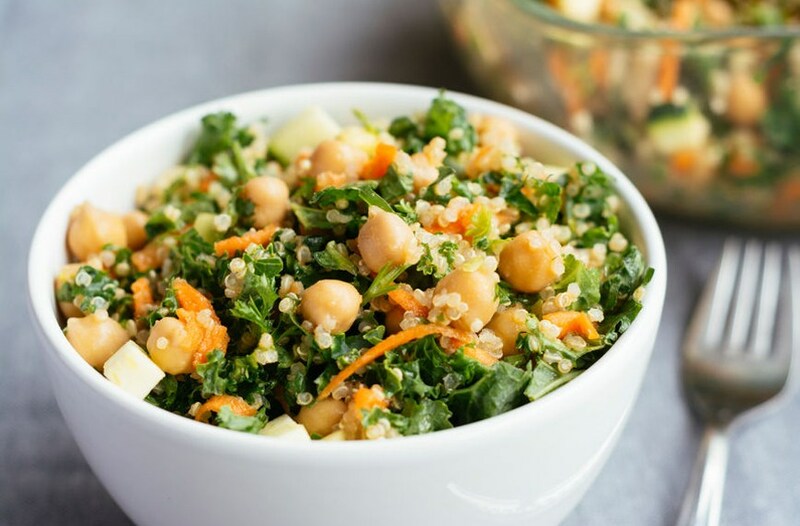 After massaging your dressing into the kale to soften it up—and adding in any other toppings you want—you have a perfect summer salad right at your fingertips. Oh, and minimal cleanup waiting for you after you’re done devouring the nutritious dish. This kale de-stemming trick is a salad game-changer. Or get your kale in soup-form with this hearty recipe.